Joe Fattorini DipWSET has made communicating to the public about wine his life’s passion, he’s written books, appeared on both TV and Radio and even had a stint talking to audiences on the US PGA Tour. Now as host of ‘The Wine Show’, Joe has been bringing his expertise and passion for wine to TV screens in the UK, USA and Australia. We took five minutes of his time to talk to him about his career. You’ve been involved in practically every facet of communication in the wine industry. What’s been your favourite role to date? It has to be filming The Wine Show. We all join the wine industry because we’re fascinated by wine and we love sharing what we know. Making the programme was the ultimate way of doing that. We met winemakers just like wine merchants who host visits to wine regions. And we were telling stories just like educators who host a dinner at a restaurant or communicators who write a blog. I’d done all those things in the past and this was a way to bring together that experience and share it with a really big audience. What tips can you share with our readers about connecting with their audience and telling the story of their products? You’ve hit on the two essential bits we sometimes forget: connecting with audiences and telling a story. Sometimes we’re so in love with wine that it’s easy to disappear into our own obsession. I try to use the word "you" three times more than the word "I". It forces you to ask lots of questions and focus on the things that your audience really cares about. And when I was a journalist with The Herald in Scotland a salty old-timer taught me the value of stories. Not just anecdotes. A story isn’t "we’ve owned this vineyard for three generations and use Limoges oak". Real stories feature a hero who overcomes a challenge. They change and develop as people. And that structure is universal and familiar. So when you tell people stories about the people and challenges behind wines you naturally take people with you. The Wine Show has just finished screening in the UK, what was your favourite moment from the show? Looking back now feels very different to what happened then. Being shut into a barrel in France or yelled at by a vast pro-Russian activist in Moldova wasn’t fun at the time. But now they’re some of best bits to watch. The loveliest memory was in the Maule Valley in Chile. I’d known Derek Mossman-Knapp and the Garage Wine Co. for years. He’s a friend and stays with me when he’s in the UK. We had the chance to visit Sauzal where he made such a difference after the earthquake in 2010 and met the growers whose lives he’d changed. What challenges were there in bringing wine to life for the medium of TV? I have this pet peeve when people say "you have to let the wine do the talking". It’s wine. It can’t talk. And on its own on television it’s staggeringly dull. Great wines look like mediocre ones and a wine you adore will leave other people cold. But if there is a useful metaphor, wine is a great prism. Through wine you meet great people in beautiful places. All wines have a captivating cultural and historical hinterland. We didn’t really make a wine show. We made a historical, psycho-geography show where the stories were linked by wine. It’s about people. But so is wine and that’s what makes wine so captivating. Each week on the show you set challenges for co-hosts Matthew Rhys and Matthew Goode to complete. Off-screen who was most competitive? Did things ever get heated? Did they ever. There was this awkward moment after about three challenges when Rhys hadn’t won yet and Goodie kept crowing about it. There was an awkward tension. I was praying that I’d really like Rhys’s next wine. He was so delighted when I did. We were together for a long time and off-screen was pretty much identical to on-screen. At dinner there’d be these long debates about who’d liked what during the day and why. Usually with Sean Connery impressions. What would you say to your viewers who are looking for their next outlet to learn more about wine, now the show is finished? People ask about this more than anything else on Twitter, usually when they’re watching the show. I tell people to do what I did. 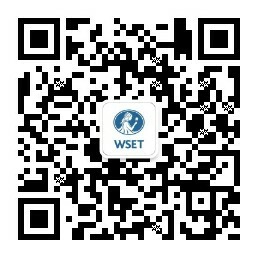 To start their journey through the WSET qualifications. I couldn’t believe it when one viewer signed up, studied and passed her Level 2 before the series even finished. I think she deserved some sort of accolade. It’s been great getting to know accredited educators across the country too. People have integrated the show into their classes and been so supportive. It makes a huge difference and I hope we can build that relationship between them and the show. Joe completed his WSET Diploma in 1995, with WSET School London.